Today I am sharing an easy chicken recipe. I feel it is better than me running to get some fast food on a a crazy busy day. 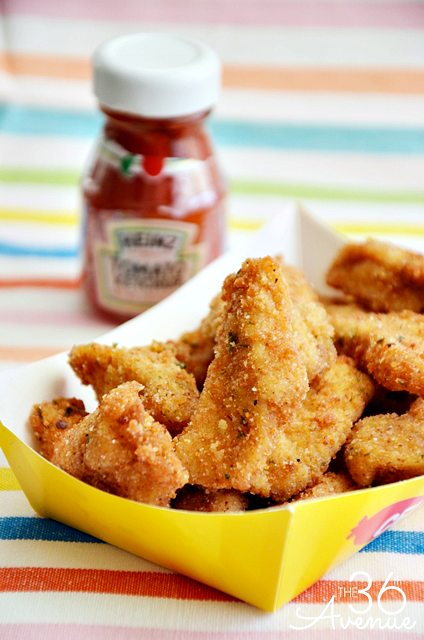 To make these Chicken Nuggets all you need is the chicken and two more ingredients. They are delicious and our family loves them! Cut the chicken in strips of about 1.5" by 2.5". In a bowl beat the eggs and coat the chicken in it. In another bowl put the bread crumbs and coat the chicken one ore time. Fry in hot oil for about two minutes. Turn the chicken so both sides are golden brown. Serve right away with your favorite dip or sauce. They are also perfect as appetizers. 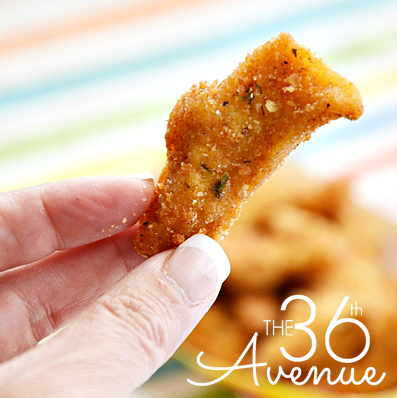 We like to serve them with our favorite Barbecue Sauce, Honey Mustard or Ranch Dip. So easy, quick, and good! Give them a try… I am warning you though, they are addictive! 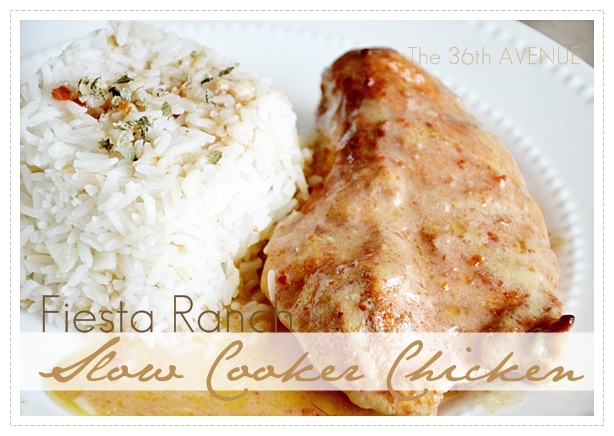 If you like chicken also get our Slow Cooker Fiesta Ranch Chicken Recipe. Or click here to see all of my recipes. I am sharing this project in these amazing link parties. shut. up. that is too easy for words! 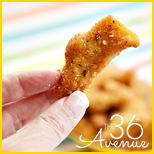 i love me some chicken nuggets and am definitely going to need to try this! Yummy! These look delicious! I wonder if they can be baked? I bake the ones I make with butter instead of eggs and it turns out just lovely! My mom made them the same way when I was a kid. I make them for my fiancé, with roasted cauliflower or brussell sprouts. Yum! I need to try the bake version… Sounds yummy! The chicken nuggets sound simple, delicious and kid pleasing. I pinned this recipe and will be making it very soon! Take care! I’m just wondering, is there a particular oil heat that works best for frying the chicken quickly and well? I’ve never worked with oil frying before, being a novice cook! I like to use vegetable oil for frying… Have fun cooking! Made these nuggets tonight. New family favorite. Super quick. Thanks for sharing! Yep! 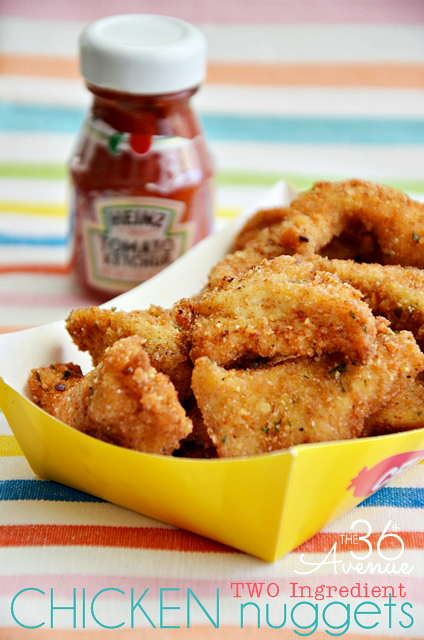 I’ll be adding this recipe to my chicken recipe box! Thank you! 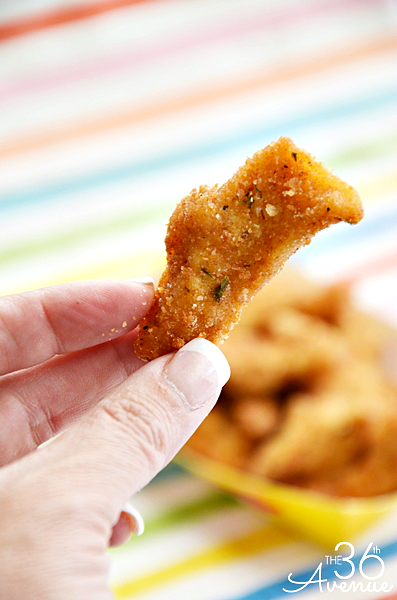 Love making nuggets but I have to tell you- your fiesta ranch chicken has become a family favorite Desiree. Love it & think of you every time we have it. Thank you for the great recipe! I love your blog!